The iconic Cinderella Castle greets visitors to Walt Disney World Resort's Magic Kingdom after a walk down a quaint Main Street, U.S.A. Arrive early, either as a Disney resort guest enjoying "Extra Magic Hours" or before opening to beat the crowds. The castle sits at the hub of Walt Disney World Resort's Magic Kingdom, with other areas of the park located around the castle. Cinderella Castle sets the tone for Magic Kingdom, giving guests the feeling of visiting the "most magical place on Earth." There are five areas of Disney World's Magic Kingdom: Tomorrowland, Fantasyland, Frontierland, Liberty Square and Adventureland. 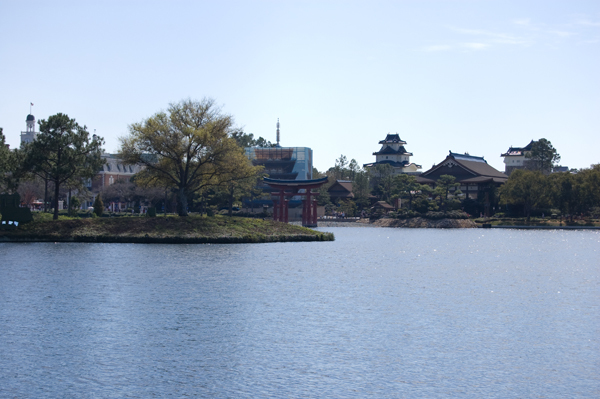 Each has its own distinctive theming, rides and an entrance sign to each "land." Big Thunder Mountain is one of the most popular attractions in Frontierland, offering up a runaway mine train themed roller coaster that can be enjoyed by a wide range of ages. The Haunted Mansion offers up plenty of scares at the Magic Kingdom, so be aware of how much spooky darkness your children can handle before experiencing this attraction aboard the "Doom Buggies." Pirates of the Caribbean is a pirate-themed boat ride that takes guests along for a tour of the pirate life. This attraction has been updated to include a Johnny Depp/Jack Sparrow figure and some other goodies from the film franchise. Space Mountain is perhaps one of the hottest tickets in all of Disney World's Magic Kingdom. On busy days, expect a lengthy wait, or get a FastPass early and return to ride Space Mountain with a minimal wait. A number of parades can be viewed in Disney World, such as this afternoon party in the streets. Mickey Mouse is front-and-center, but there are many more favorite Disney characters to fill up the streets too! Be sure to stay for the evening or return to the Magic Kingdom at night - the castle is lit in a variety of beautiful colors and the nighttime SpectroMagic parade and Wishes fireworks show are not to be missed! Discover more about Walt Disney World Resort's Magic Kingdom, including Disney World Rides and Disney World Money Saving Tips.